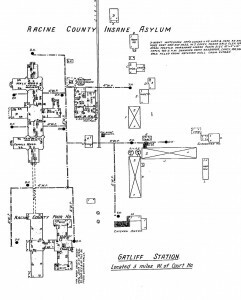 From Deane Frederick II of Hazel, KY: I found this 1933 revision map online the other day – (http://www.asylumprojects.org/index.php?title=File:WIracine1933.jpg). 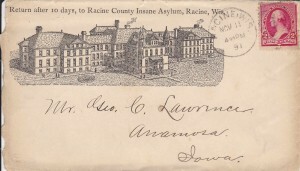 (The website also features a map from 1908 – http://www.asylumprojects.org/images/b/b7/WIracine1908.jpg.) I believe the implements building shown on the 1933 map is directly behind the people in my picture. The boy on the left is my dad at age 7. The man is Carel/Carroll Bud Yeagley and the woman is his second wife (my grandmother’s stepmother), Alice (Graves) Yeagley. The photo was taken in 1940. My grandmother took the photo. My dad had 9 older brothers and sisters but he was the only one that went on the Racine trip with my grandmother. 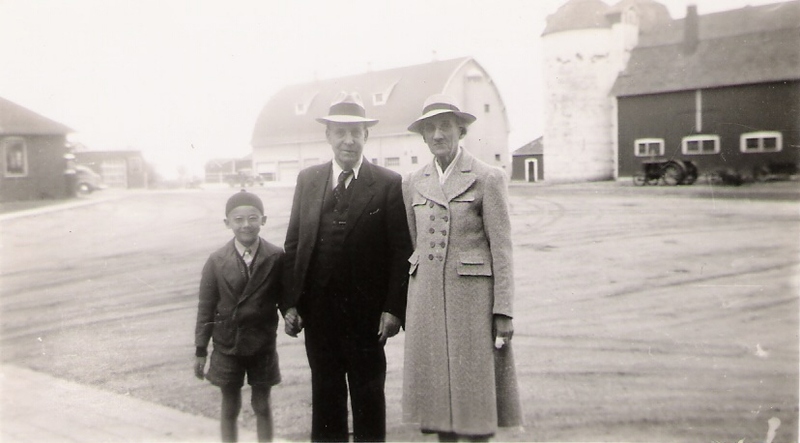 (My grandparents were living in Kalamazoo, Michigan at the time). 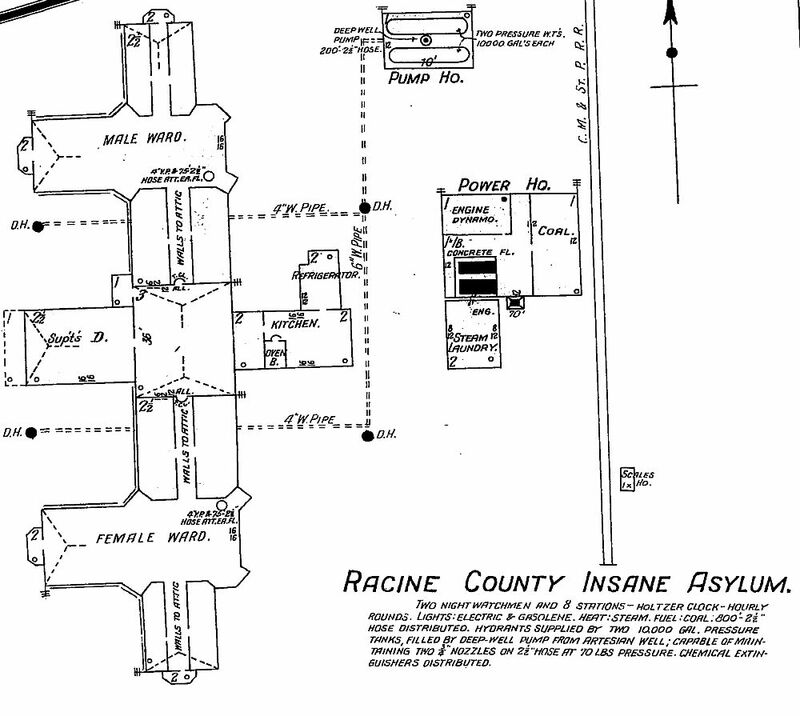 The asylum was referred to as “the farm” by the family. 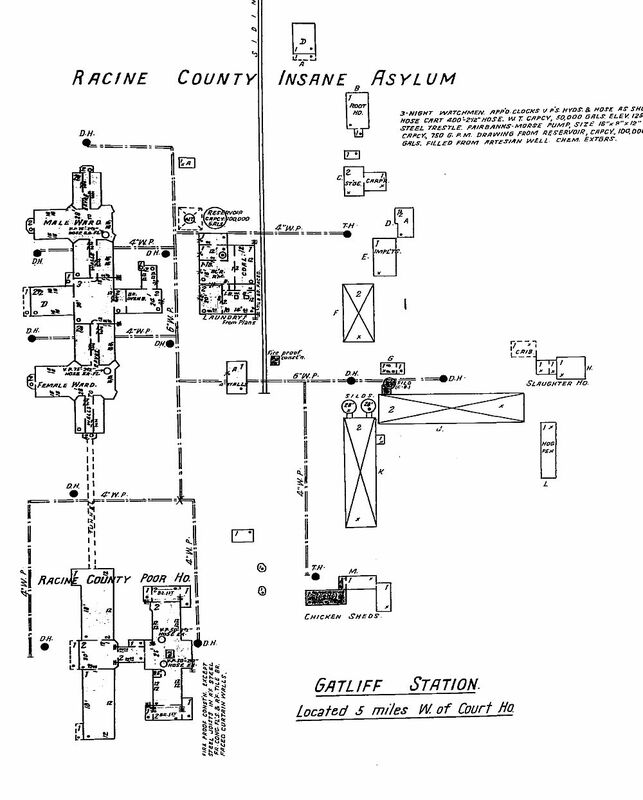 I have also included the 1940 Federal Census, which shows Carel Yeagley as an “inmate.” He died in 1960, while incarcerated there, and was buried in Mound Cemetery, near Alice in an unmarked grave. I have attempted to gain access to some of the information regarding Carel, but have not been successful. 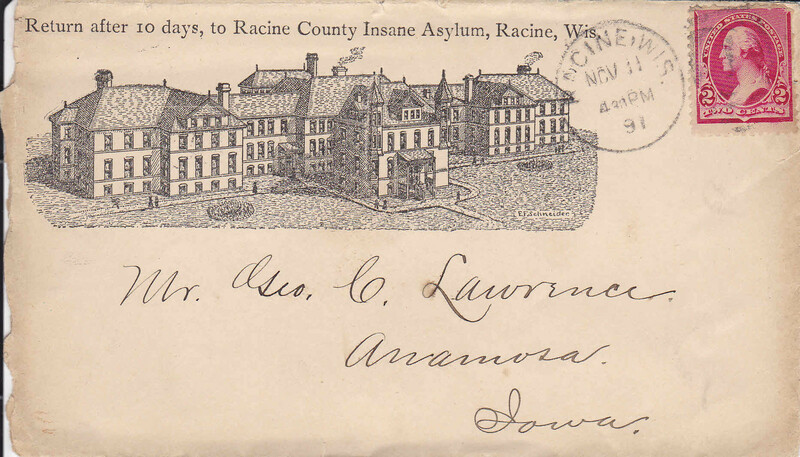 I don’t need to see the sordid details but would like to acquire his inmate photo and understand more of his day-to-day while there.